A look at the press release. 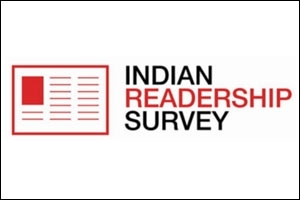 The Readership Studies Council of India (RSCI) and Media Research Users Council (MRUC) are pleased to announce that the Indian Readership Survey (IRS) 2017 Report has now been released. For the record, the IRS 2017 Report covered a full year sample of 3, 20,000 households - the highest ever in the history of any readership study in the world. The large sample size was backed by a meticulously designed methodology which saw the use of 100 per cent Dual Screen CAPI followed by a tighter scrutiny process via continuous backchecks, accompaniments, use of audio recordings, and third-party field audits. These enhanced levels of Quality Control, deployed by the IRS TechCom, have ensured the veracity of data capture for all quarters. The robustness of capture of media consumption across all media has been significantly enhanced due to the increased sample size and better representation across all pop strata. 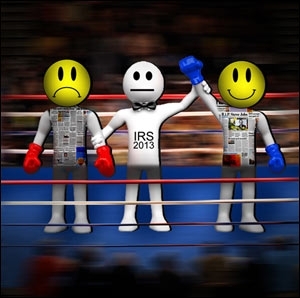 Some exciting new features have been included in this round of the IRS. Reach analysis across all media types has now been brought to a common platform with the introduction of 1-month penetration numbers for all media types. This will now enable an apples-to-apples comparison across media types. "IRS 2017: TOI, Dainik Jagran top"
Another interesting development has been the capture and reporting of readership for the Main issue of Newspapers versus their Variants. Each of them is now reported separately in IRS 2017. 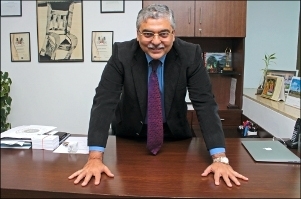 Commenting on the release of IRS 2017 Report, Ashish Bhasin, Chairman, MRUC and Chairman and CEO - South Asia, Dentsu Aegis Networks, said, "According to the findings of the Report, 39 per cent of Indians (12+ years) read newspapers, and 20 per cent of all newspaper readers in 50 Lakh plus population towns read newspapers online. These numbers most definitely tell us that there is a bright future waiting for the Print industry. I'm also hoping that we will now begin to see advertisers and media agencies taking Print more seriously. Increased readership numbers for newspapers and magazines will pave the way for publishers to increase their revenues which would in turn help increase the size of Print as a medium." Ashish Bhasin further said, "The support we have received from across constituencies for bringing out this Report was phenomenal and it was very pleasing to see the key stakeholders contributing in many ways to improve the study that has been in existence for more than two decades." 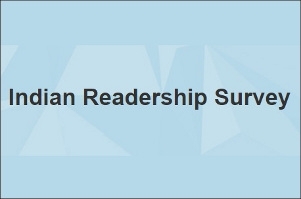 Shashi Sinha, RSCI Managing Committee Chairman, and CEO, IPG Media Brands, noted, "I'm delighted to share that the findings of the IRS 2017 Report mirror the market reality in terms of media reach and the performance of individual media channels be it newspapers, magazines and broadcasters. The methodology deployed to capture data quarter-on-quarter was the very best for a study of this scale and kind, and the sheer focus on Quality Control makes this Report a reliable one and a real stand out." NP Sathyamurthy, Chairman - RSCI Technical Committee and Executive Director, DDB Mudra Group, echoed, "The IRS 2017 Report is the outcome of great minds from different streams working together toward a common and shared goal to come out with a research that sets the highest standards globally. Absence of readership data for four years meant that we had to work that much harder and smarter to bring the study back in action and in line with the market truths and expectations." NP Sathyamurthy further noted, "From 2016, when we began the fieldwork, up till last month when we completed the validations for all four quarters, the journey wasn't easy, and had its own special twists and turns. Furthermore, we have strengthened the Report with additions such as TR, readership numbers for 7 days and 3 days and the separate reporting of newspaper variants. IRS 2017 marks a new innings for this trusted Industry study." Points of View: Is the new IRS being unjustly bashed?